This week on The Bugcast: we review our trip to OggCamp ’18, we campaign for a listener, and we play 8 cracking tracks of Creative Commons music from I’m Fresh! You’re Pretty!, McKool, Sarah Golley, Wordsmith, 11 Prisoners, Moka, Mirva, and Ping Pong Club. 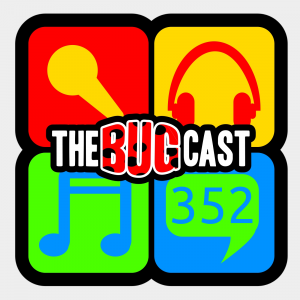 This week on The Bugcast: The loss of another musical legend and a music streaming service, Election fever in the UK, plus we play our usual mix of 8 great tracks of Creative Commons music from Jara, A Virtual Friend, Jeffrey Philip Nelson, Joe Atman, Heifervescent, Mirva, madelyniris, and The Rinn.